Based on the fact sheets highlighted in our Tried and True Plants library, Best Bet pages recommend groups of plants well suited for a particular use, a special purpose, a distinct set of conditions. These lists are not exhaustive, but they reflect the local experience of our Master Gardeners. Listed plants are often described fully in the individual fact sheets. 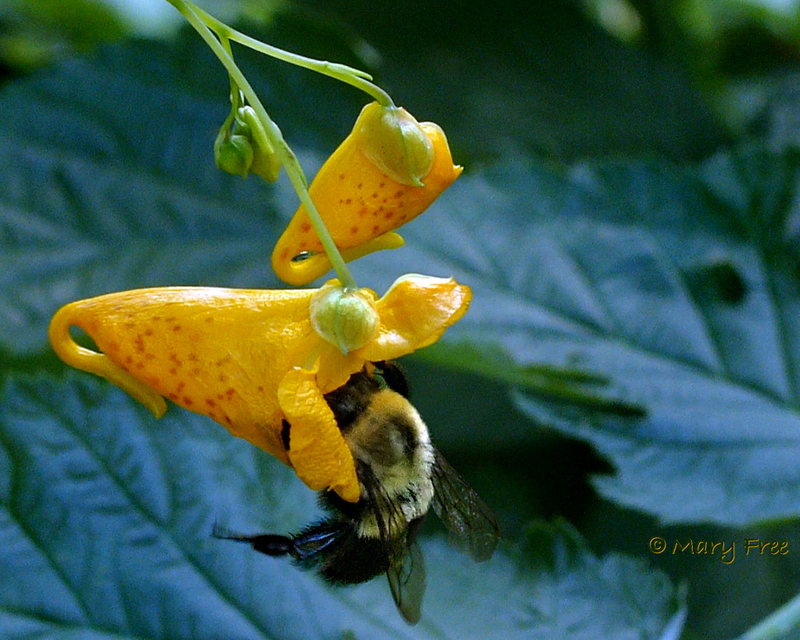 Flourishing along Long Branch Stream in Arlington’s Glencarlyn Park, native annual Impatiens capensis (jewelweed) attracts numerous pollinators such as the bumble bee pictured above as well as hummingbirds, butterflies, other bees, wasps, and flies.